Self Fertility Massage™ is a series of massage techniques that are used to help support reproductive health, the menstrual cycle, and your fertility. I created this natural fertility therapy to help women apply the fertility massage techniques for themselves. Self Fertility Massage™ is a very effective and low-cost way to boost your fertility naturally and help reduce the effects of fertility issues on your body. I have worked with thousands of clients as a massage therapist over the last decade and have seen many life changing results from the use of massage therapy. The techniques taught in Self Fertility Massage™ help the body to become balanced, have healthy circulation, increase immune system health, decrease stress, and much much more. There are many reproductive benefits to receiving fertility massage. *The studies included women who are experiencing or have experienced pelvic pain, adhesions, bicornuate uterus, D&C, ectopic pregnancy, fibroids, failure to ovulate (an ovulation), hydrosalpinx, irregular menstrual periods, hormonal problems, tubal occlusion, ovarian cystectomy, myomectomy, laparoscopy, hysteroscopy, etc. (the list is much longer than this). Is Self Fertility Massage™ For You? Can Self Fertility Massage™ Help with Fertility Issues? One of the greatest benefits of massage is the ability to break up adhesions. Self Fertility Massage™ gently helps to break up adhesions while helping the body to get rid of the remaining scar tissue. The techniques used in Self Fertility Massage include massaging the fallopian tubes in addition to the uterus and ovaries. Massage provides a great non-intrusive option for women with blocked fallopian tubes. Self Fertility Massage™ helps the body with congestive issues like endometriosis. When endometrial tissues begin to grow in other areas of the body besides the uterus, irritation occurs which then can create scar tissue. This in turn can cause organs to begin to become stuck together by the scar tissue and tight fascia. It may also cause Fallopian tubes to begin to twist. Massage can be used to help breakup the adhesions, decrease the inflammation, and help the body to rid itself of the old blood left from the endometrial tissues. Self Fertility Massage™ may also help with the occasional pain that is caused from endometriosis. Endorphins are released during a massage which help to reduce pain and stress. Polycystic Ovary Syndrome is another fertility issue that causes stagnation in the body. When ovulation does not occur and a cysts begins to grow on the ovaries, this causes a series of imbalances to occur, one of the main ones being hormonal imbalance. Self Fertility Massage™ includes techniques which promote the hormonal feedback loop to communicate fully which in turn helps the body to ovulate, menstruate, and be in balance. Massage also can help to bring circulation to the ovaries, helping to nourish and bring fresh blood to your eggs. While diet is still the #1 therapy for PCOS, Self Fertility Massage™ can really help to make a difference. When it comes to unexplained infertility, the best approach is to focus on creating a healthy body, a healthy mind, and bringing balance to your life. This approach helps to cover all bases and create a healthy body without causing further harm. Self Fertility Massage™ can be helpful in many ways if you are experiencing unexplained infertility. The techniques help to increase circulation which in turn helps to increase egg health by bringing fresh oxygenated, nutrient filled blood to the eggs. Self Fertility Massage™ also helps with stress that comes along with infertility. Stress has been shown in studies to affect hormonal balance by increasing prolactin (the hormone that keeps you from getting pregnant while you are breastfeeding). One of the main benefits of Self Fertility Massage™ is that it increases circulation to the ovaries. This can be helpful if you have ovarian cysts by helping to clear out congestion, reduce inflammation, and promote hormonal balance. In conjunction with reducing environmental and dietary estrogen, Self Fertility Massage™ should be a part of every woman’s fertility program. Slight caution: Avoid directly massaging an ovary that has an ovarian cyst, especially if the ovarian cyst is quite large. A 2000 study in the Journal of Psychosomatic Obstetrics & Gynecology, shares that “Twenty-four women with premenstrual dysphoric disorder (PDD) were randomly assigned to a massage therapy or a relaxation therapy group. The massage group showed decreases in anxiety, depressed mood and pain immediately after the first and last massage sessions. The longer term (5 week) effects of massage therapy included a reduction in pain and water retention and overall menstrual distress…” offering enough proof to suggest massage therapy as part of natural fertility program for women experiencing any level of premenstrual syndrome (PMS). Self Fertility Massage™ encourages a healthy uterus by helping to realign a tilted uterus, increase circulation to warm a “cold uterus” by bringing in nutrient-rich blood, and breaking up scar tissue and adhesion in order to improve uterine tone and function. Massage encourages healthy communication between the pituitary gland, the hypothalamus, and the ovaries. This is called the “feedback loop”. It controls the levels of hormones produced in the body. By massaging the ovaries and including the stress-relieving benefits of massage, a healthier balance can be found in the body. In Self Fertility Massage™ the liver is also massaged, which is another important organ for hormonal balance. One of the foundations of natural fertility is promoting egg health through eating nutrient-dense foods and antioxidants which help to protect the egg’s integrity from free radicals. Another important aspect to egg health is proper oxygen, nutrients, and circulation. Self Fertility Massage™ helps to bring much needed circulation to the ovaries, therefore, supplying the eggs with oxygen and antioxidants. While trying to stay stress free during your journey towards motherhood is important, it can sometimes seem impossible. Co-director of the Center for Reproductive Medicine at Cedars Sinai Medical Center, Los Angeles Margareta Pisarska believes that continued focus of research needs to be on how conception can be interfered with by the physiological effects of stress. Self Fertility Massage™ is a very relaxing routine that you can also use as a stress-relieving therapy. While you are receiving a massage, the body begins to relax, blood flow increases, endorphins (feel good hormones) release, and muscles let go. Making Self Fertility Massage™ a part of your routine can bring a peace to your day that is priceless. In one study published in the journal Human Reproduction, 401 couples participated in a prospective cohort study over 12 months with the intent to prove the correlation between elevated stress levels and instances of pregnancy. “Higher levels of stress as measured by salivary alpha-amylase are associated with a longer time-to-pregnancy (TTP) and an increased risk of infertility… Among the 401 (80%) women who completed the protocol, 347 (87%) became pregnant and 54 (13%) did not,” reported researchers. These findings alone prove stress management techniques, which include massage, are a much needed part of any couple’s fertility journey. Massage has been used for centuries to help women increase their fertility and create a healthy uterus. To understand how Self Fertility Massage works you will need to understand the female reproductive anatomy. There are three major fertility organs that Self Fertility Massage is going to affect. These include the uterus, fallopian tubes, and ovaries as well as the stomach, liver, and intestines. The uterus is located behind the bladder in the bottom of the pelvic cavity. Self Fertility Massage helps a uterus that has become tilted, is compressed by feces impacted intestines, and suffers from a lack of circulation. There are various reasons the uterus may not be getting enough circulation. The main artery that supplies the uterus with blood also supplies the legs with blood. If you lead a sedentary or stressful life then circulation could easily be compromised. There are many other reasons the uterus may not be getting enough circulation, such as twisted fallopian tubes, congestion, tight fascia, inflammation, endometrial tissues, scar tissue, or past surgeries to the area. The ovaries are located in front of the uterus, next to the pelvic bone. Self Fertility Massage can help the ovaries by bringing fresh oxygenated blood and nutrients to the eggs. The fallopian tubes are attached to the sides of the uterus. Self Fertility Massage is very helpful in helping the body to clear blocked tubes and helping to loosen scar tissue in the reproductive system. We will also be massaging the stomach, liver, and intestines. Massaging the stomach is important for helping digestion and reducing stress. You may notice once we start the massage that your stomach may feel hard to the touch or tight. A lot of people hold stress in their stomachs. Dr. John Lee also says that hormonal balance starts in the digestive system. Liver massage helps the liver to do its job of getting toxins and excess hormones out of the body.The liver is located on the right side of the body just behind and below the bottom ribs. We will be doing a technique called the liver pump. This technique helps the liver to pump out toxins and excess hormones. Massaging the intestines is important for general health and fertility. By massaging the intestines you are helping your body to eliminate feces that may be stuck or impacted. Digestive and intestinal health is very important for fertility. Many of the nutrients are absorbed from food in the upper intestines. In addition, feces-impacted intestines can become heavy and put unnecessary weight on the uterus, ovaries, and fallopian tubes. Do not do Self Fertility Massage™ while you are menstruating. Do not do Self Fertility Massage™ if you are pregnant or think you may be pregnant. If you are currently trying to conceive, do fertility massage from the last day of your period until ovulation. Discontinue Self Fertility Massage™ once you find out you are pregnant. If you have health issues, consult with your physician before beginning Self Fertility Massage. A wide range of massage techniques are used in Self Fertility Massage™. Self Fertility Massage™ incorporates Chi Nei Tsang (Asian organ massage), deep tissue massage, myofascial release, acupressure, reflexology, and castor oil therapy. Chi Nei Tsang is an ancient form of organ massage. It is a massage technique used to clear blocked energy, tension, and stress that accumulates in the organs; it releases toxins, clears excessive heat, and helps with heat deficiencies such as a cold uterus. The basis of Chi Nei Tsang is helping the flow of chi or the body’s life force to travel smoothly through the entire body. If there is a health issue somewhere, that is a sign of blocked or stagnant chi. Chi Nei Tsang helps to clear that blockage so the chi can continue flowing and help the body to heal itself. Deep Tissue Massage is a massage technique that helps to break up adhesions, increase circulation, and aids in detoxification. This is one of the most popular types of massage. The slow, deep motions of this massage helps to relax the body while promoting fresh blood flow to the area you are massaging. Myofascial release is a massage technique that helps to release the myofascial tissue that surrounds all organs and muscles. This tissue can become twisted and adherent over time. Releasing the myofascia helps to free up organs that may have been stuck to each other and also helps with bringing fresh blood and oxygen to the reproductive organs. Acupressure comes from Traditional Chinese Medicine based on the same ideas as acupuncture, but without the needles. It involves applying pressure to a specific point on the body to bring greater balance and circulation. Many times, the acupressure point is not located near the symptom. Reflexology is a massage technique that is applied to specific areas of your feet. There are points on the feet that correspond to a specific organ of the body. By stimulating that reflexology point, you are helping to clear out congestion and blockages, encouraging circulation and chi to flow to that organ. In Self Fertility Massage™ we work on reproductive, endocrine, and digestive reflex points. Castor oil therapy has been used for thousands of years as a healing therapy. Castor oil is extracted from the castor plant and is used externally on the lower abdomen. Castor oil packs are best used just prior to Self Fertility Massage. Radiant Womb is a therapeutic massage oil designed to help support reproductive health. Infused with medicinal herbs and therapeutic essential oils, Radiant Womb can be used during Self Fertility Massage or applied directly to the lower abdomen, ankles and feet to support the reproductive system. The Self Fertility Massage™ DVD shows you step-by-step how to perform fertility massage therapy on your own body, in the privacy of your own home. Certified Massage Therapist and Master Herbalist, Hethir Rodriguez, teaches you how to use specific self-massage therapy techniques to improve your fertility. We ship ‘region free’ NTSC DVDs to our international customers which can be viewed on any international DVD player, regardless of format. What can I expect from the Self Fertility Massage DVD? Well, first I have to tell you that it is not a Hollywood shot movie. The DVD consists of me teaching you step-by-step how to do the Self Fertility Massage techniques. I also don’t use models in the video. I personally show you how to do the massage techniques on yourself by doing them on myself. You can expect to learn a massage practice you can do on yourself daily. You can expect to save money by not having to find and pay a massage therapist who specializes in fertility massage (there are few). And you can expect to see a difference in your reproductive health. Can I use the Self Fertility Massage™ techniques if I am getting IVF or if I am on fertility medications? The techniques used in Self Fertility Massage™ may be helpful and can be used if you are preparing for a fertility procedure or on fertility medications. Let your doctor know you are using massage. The techniques are safe to use before your procedures, but discontinue them once the transfer has occurred. Will this be easy to add to my daily routine? Yes. We have a quick recap at the end of the DVD so you can quickly access it and follow the instructions daily until you have it memorized. The massage portion is approximately 15-20 minutes long, followed by 10 minutes of reflexology, which makes this practice easy to fit into any day. Do I have to be a massage therapist to understand the techniques? No, you do not. I created this video so you can apply the techniques yourself without having to find a therapist who specializes in fertility massage. And you won’t have to pay $90 a session. You will be able to apply Self Fertility Massage from the comfort of your own home for a fraction of the cost. How often will I have to do the massage to receive benefits? For best results, apply the Self Fertility Massage techniques on a daily basis except when you are menstruating or after ovulation if you are currently trying to conceive. If you are currently not trying to conceive and are preparing, you can do the massage daily except during your period. Can I use the Self Fertility Massage if I have blocked tubes? Self Fertility Massage is one of the best natural therapies for blocked tubes as it helps to break up adhesions and increase circulation. It will take some time to see the results, but it is well worth it. You may want to also look into some of the herbs and supplements we provide for supporting the body in unblocking tubes naturally for a well-rounded program. Is Self Fertility Massage the only thing I need to do to boost my fertility? This depends on what your fertility issue is. Please take a look at our resources to find the guide created for your particular situation. There may be some herbs that should be taken in conjunction with Self Fertility Massage for the best results. Is Self Fertility Massage guaranteed to make me get pregnant? While I wish I could guarantee to each and every one of you that this will no doubt make you become pregnant, that is impossible to do. I cannot guarantee (legally and morally) that you will become pregnant by using the techniques in this DVD or by using any of our products. I cannot place a guarantee on something we all have no control over (such as the miracle of pregnancy). What I can say is that we have helped many women realize their dream of motherhood and believe that what we provide here is very promising and real. Is Your Tilted Uterus Keeping you from Getting Pregnant? Chia, M. (2007). Chi Nei Tsang: Chi massage for the vital organs. Rochester, VT: Destiny Books. Can this be used to treat amennorhoea in a 17 year old. Pls mail me the answer. Self Fertility Massage can be used by menstruating women no matter age. Please do ensure she is nor pregnant prior to use. can i begin to do the fertility massage and the fertility cleansing while still having paraguard iud? Neither Self Fertility Massage, nor Fertility Cleansing is to be used with an IUD. If I am TTC how long after myomectomy to wait to do message and can I do message after ovulation to help increase circulation etc. According to the my “period app” I ovulate 6 days after my menses is done is that the only 6 days I should do the message. Yes, when actively trying to conceive, Self Fertility Massage is best only done from when menstruation ends until ovulation. Is this DVD captioned for the deaf? The Self Fertility Massage DVD is not captioned. Perhaps seeking a valid translation service or translator would be best. We only publish in English. I’m very interested in this item; for the download version, would it be only in one phone/ipad or can I have it on my laptop as well. Kindly advise. Thank you! Hello, Thank you for the valuable post. I have my FET planned in about 10 days from today. Wanted to know if I can start with the Fertility massage now, or is it too late. I have a sedate lifestyle & have started gym recently. Fertility Massage can be until you begin medications for the FET. Our best to you! My wife age 29 year she suffering for ectopic pregnancy oct 2016 after surgery right tube removed, then we try to plan conceive but not getting result she not conceive. we going to gynecologist Doctor advise to some medicine and Injection 150 HMG because my wife no egg making in left tube after medicine & injection making 2 egg 20 mm size left tube dr suggest IUI Complete she do IUI but result not successful. Please suggest me what we do i am not have more money & costly treatment . I am sorry to her of what your wife and you are going through! Our guide Getting Ovulation Back on Track may be helpful as well! When actively trying to conceive, Self Fertility Massage can be started the day after your period ends and stopped at ovulation. It is best used 1 time a day for 30 – 45 minute sessions, 3-5 times a week. If you do not conceive, you can start again the day after your period ends and stop at ovulation. Upon watching the small preview of the DVD I noticed the model has a flat stomach and it not over weight. Will this technique still work for some one that is obese and has a lot of fat covering the lower abdomen? Performing fertility massage on oneself may prove challenging for those who carry excess weight in their midsection of the body and not be as effective as we have seen it to be. It may be helpful to consider the tips we share here in our guide about obesity under What You Can Do Today To Increase Fertility. can a woman over 50 conceive using your products? The herbs, nutritional supplements and natural therapies we suggest can have tremendous benefit to overall health, yet may not be all that a woman over 50 wanting to conceive needs to consider. We suggest working closely with your healthcare provider, or a reproductive endocrinologist and perhaps an herbalist or naturopath who specializes in the fertility health of women over 50. Consider looking into WomentoWomen.com or Healthy Healing as resources or search for natural health professionals who live near you. I was diagnosed with bilateral tubal blockage. I have irregular periods due to annovulation. my menses last longer than 2 weeks. I have also have been diagnosed with hormonal imbalances. I would like to purchase a self fertility massage DVD. where can i find one? Hi, I have adenomyosis where affected quite a menstrual pain, since now I dont have a timeline for pregnancy plan yet. May I know how does this massage helps on easing the menstrual pain. Fertility massage may help the body release endorphins, which help to reduce pain and stress. Massage is also know to help breakdown fibrin (the tissue that makes a scar) and if that can be reduced, perhaps pain will as well. Please also learn the tips we share in our guide Adenomyosis: Causes, Risks, & Natural Healing Options. I’m sorry to hear of what you are going through! First, I have to share that I am not a doctor and that we do not have one on staff. 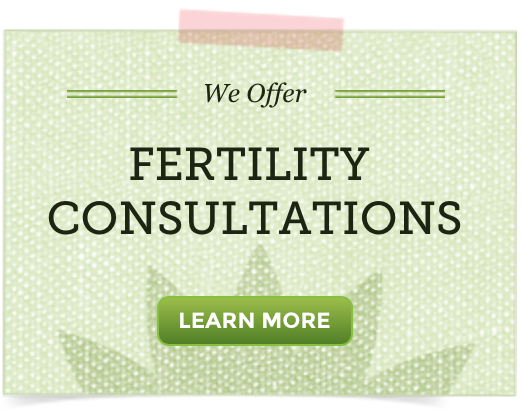 We are natural fertility specialists (herbalists, etc.). It may also help to learn more about Systemic Enzyme Therapy. I recently had an ectopic pregnancy that was (well almost) resolved by methotrexate. I still have to get at least one more HcG test to make sure I’m under 5. I was thinking of doing a cleanse when this is all over. Should I wait to start the cleanse and massage or even acupuncture until I know for sure this ectopic is resolved to start the cleanse? I hate that I had to get such potent drugs pumped into my body, but I know it’s what I had to do. I just want this to be over so I can move on. Thanks for your help. I want this to be over for you too! My best! I am sorry you are having to deal with all of these fertility health issues that can be in part reason why conception hasn’t happened. Self Fertility Massage could be considered, yet may not be the best choice if the ovarian cysts are many, large or painful. I hope you will consider a Fertility Consultation! Hi my name is Reina. I would like to know if this helps with pre-menopause. When I was 21 I was diagnosed with pre-menopause and so far nothing has been done for me. I was told by my old doctor I was never going to have babies. I’m afraid that if I don’t do something right now I wont be able to have kids. I hope to hear from you. Thank you. To be frank, it won’t hurt! There are really only a few times we suggest against fertility massage, which are if you have ovarian cysts, during menstruation, during medicated fertility procedures (IVF) and during and after ovulation when actively trying to conceive. Have you learned why such a hormonal imbalance at a young age? What led the doctor to say you will never have children and why? Maybe my guide Female Fertility Health: Balancing Hormones in Premenopause will shed some light on why this happens for some women and how to consider supporting the body naturally. Hi! My period is due at end of the month though at times it may come a few days to a week earlier. Can I do the Self Fetility Massage now (17th April)? When not actively trying to conceive, Self Fertility Massage can be continued after ovulation until menstruation starts. That is fine! Self Fertility Massage has many fertility health benefits, but it not a cure for PCOS or endometrial hyperplasia. Herbs assist the body in returning to balance, remembering the innate wisdom the body has to stay healthy and be well (fight pathogens and maintain hormonal balance). PCOS is a complex endocrine system disorder in which the coordination of the production of and delivery of hormones to where they need to go within the body isn’t happening properly. Consider learning important information in this article titled How to Reduce the Damaging Effects of PCOS on Fertility Through Diet and Herbs. It is important to support your body in re-learning balance by promoting healthy hormonal balance, a healthy uterine lining, regular ovulation, improved estrogen metabolism, reduced cravings for sweets and improved digestion all of which you will learn how to do in the article above. I hope that guide is a helpful start! I have sever scar tissues surrounding both of my tubes. My dr. attempted a laparoscopy procedure to unblock my tubes but it was unsuccessful due to the scar tissues. He mentioned that my tubes were cut from the scar tissues growing in and around my tubes. Is there anything I can do? If the adhesion’s break up will my tubes heal from the cuts. I’m sorry I can not know the answer to your question. It is in cases like yours that we suggest seeking a specialist to work with one on one. Someone who will be able to evaluate your unique situation and determine the best possible course of care. Two such specialists could be from Clear Passages or a Mercier Therapy practioner (click each link to learn more if interested). I just had surgery 2 days ago to eliminate the adhesions which were blocking one of my fallopian tube (the other is completely blocked in the isthmic zone). The adhesions were caused by Chlamydia. Even though there was a laparoscopy surgery, I know adhesions are very often creating during 3-7 post op days. Is there any excercises, massage, natural treatment that I could do to avoid the creation of the adhesions during this first post op week? I hope you are feeling well post surgery! There may be helpful natural therapies to consider. We share them in our fallopian tube health guide here… If you were to choose natural therapies like Fertility Massage and Castor Oil Therapy, they aren’t to be done until any incisions in the skin have healed and bleeding has stopped. Should bleeding be minimal or have stopped, natural therapies like Systemic Enzyme Therapy and Women’s Best Friend could be considered (you’ll read about these in the guide linked above). I appreciate your website greatly. Two days ago I had laparoscopy and they found endometriosis which they treated. Would be helpful for me to use castor oil packs & fertility massage? How soon would be safe for me to start? I hope you are healing well post laparoscopy. Self Fertility Massage and Castor Oil Packs can be considered when any bleeding post procedure has stopped and if there are no open wounds (incisions) on the skin. The amount of time this takes differs for each woman. Hi, I just realized that i did the fertility massage a day to my period. I want to know the implication of this because am yet to see my period. Self Fertility Massage is not known to cause menstruation to be delayed. If it were to have an impact, I’d actually suspect it would help menstruation to start. Do you usually have a regular cycle, that is consistent in length? Did you actively try to conceive this past cycle? Could you be pregnant? It would be helpful to think of these things before continuing with Self Fertility Massage. Can I purchase a digital copy of this video? 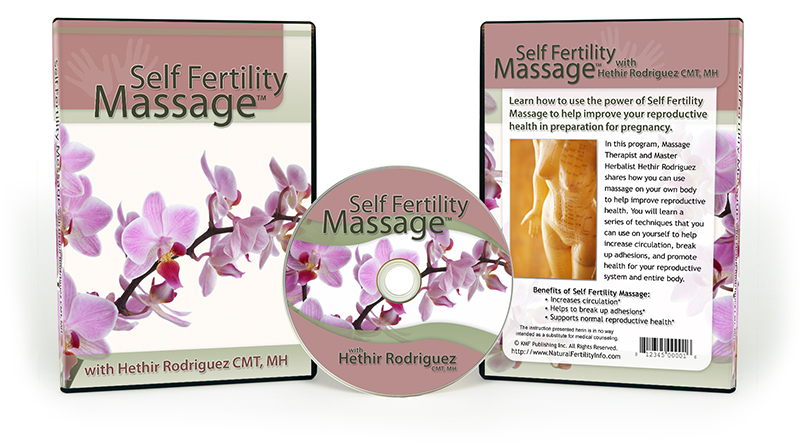 Self Fertility Massage is available as an instant download yes (as well as a physical DVD). Please contact customer care at the Natural Fertility Shop for ordering support. I have Low AMH and high FSH and i am trying to conceive. I have just sent a message regarding fertility massage. can you advise me regarding fertility food, i am vegetarian. We feel fertility massage can offer such great benefits to most women. It is not alone all that we suggest when wanting to naturally support hormonal balance however. Consider learning more in our guide Low AMH Levels: What Do They Really Mean For Fertility?. In terms of diet, the Fertility Diet can easily be adjusted to meet vegetarian needs. 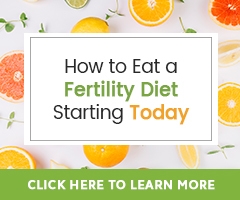 Learn more about the Fertility Diet here... Here too is more about a Nutrient Dense Fertility Diet for Vegetarians. Can your products be shipped to Lagos Nigeria? Fertilica brand products can be shipped to Nigeria through a courier service. Working with Nigeria is a bit of a challenge in terms of shipping costs etc. as we do not ship directly to Nigeria. The feedback we have received is that MyUS.com is easiest to contact. Please feel free to contact our customer care team with any additional questions you may have. It will first be helpful to know the location and/or severity of the blockage, in addition to what has led to, or is contributing to the blockage. Consider asking your healthcare provider if he can help you understand these factors as you contemplate the best plan for you. Given the small size and a fallopian tube and how delicate these organs are, any sort of trauma can alter their function and damage the tubal tissues. Fallopian tubes that are severely damaged need special care and we would suggest you work with a specialist who will be able to evaluate your unique situation and determine the best possible course of care. Please take some time to read the article that our founder wrote about naturally supporting fallopian tube health to learn more. I have one tubal pregnancy 6m ago and it was too far along, thereby the doctor remove my right tube. I have my left tube but they said that is has a lot of scar tissues and is blocked. They are want me to have a surgery to remove it and have IVF. I believe that I can heal myself with natural medicine so i found out about this massage. I’m really excited but wanted to know if it could help in my case. Fertility Massage is worth learning more about, as are the other natural therapies in our guide Natural Therapies for Blocked Fallopian Tubes. I looking for a video that show us how to do methods of Reflexology for cure my wife’s infertility. If No,please advise me how can i find it. I am not aware of a video specific only to Reflexology for infertility. Self Fertility Massage includes both massage and reflexology. It may be worth seeking the support of a Reflexologist who can work one on one with your wife. Best wishes as you continue your search! Before I’ve found this website, I used other simple techniques to self massage (circular and gentle movement on belly area and low abdomen/uterus). Each time my intestine reacts to the massage with a certain way – I have bloating and diarrhea. I really do not now what to think about it, I guess it happens because of cleaning as a result of massage or I do something wrong. It stops me from purchasing the DVD. What if it will be the same each time i’ll do massage with the DVD and I will be stuck at home because of diarrhea. In massaging the lower abdomen, the intestines will be affected. There is no real way around this given our anatomy. Each person reacts to massage differently as well. I have not heard of Self Fertility Massage when practiced as instructed causing bloating or diarrhea. This is not common with Self Fertility Massage. If you choose to try massage, apply only gentle pressure and massage only for as long as suggested. Consider waiting to massage for a couple hours after eating or maybe before bed (as you wind down from the day). Hi, your website it amazing thank you, I am so thankful I came across it! I havn’t had a menstral cycle in about 6 months but was still able to get pregnant. In those 6 months we did numerous tests and concluded that stress was the cause. I eat fairly healthy and exercise 5-6 days a week. At 9 weeks I was told I had a missed miscarriage and had to go in for a D&C. It has been two weeks now since the surgery and we are hoping to try again in a few months. My questions are, 1) How many cycles should I wait to try again, and 2) what is the best way for me to regulate my cycles at this point. Would Self Fertility Massage help right now? Thank you! I am so sorry for your loss! I hope that you are feeling well now as you keep moving forward. Self Fertility Massage is an amazing, easy, very cost-effective natural therapy that so many women benefit from. It could be considered when you have healed (approximately 3-6 weeks post procedure… bleeding must be stopped). I would encourage you to also learn about the 5 Steps To Decreasing the Chance of Recurrent Miscarriages. I think you will find those helpful as well. Hi , l’m 39 , still want to conceive. I’ve been treated for polyploidal endometrium through hysteroscopy. I’ve been diagnosed with adenomyosis. I’m currently envisaging IVF & been given two Zoladex injections. I would like to know if the self fertility massage and supplementation would be helpful. Thanks for your help as I’m trying desperately to conceive. Self Fertility Massage may be helpful. I encourage you to learn more about other natural healing options for adenomyosis here… as well. We suggest that if you are interested in trying any herbs while also on medications, that you seek your doctors approval and guidance in doing so. There are also many natural therapies to support the body in maintaining hormone balance when endometriosis is a culprit, learn them here… It is especially important to help the body properly metabolize excess estrogen and support increased circulation to the utuers. The link above will share why and much more. Thank you for your suggestions. If I were to purchase the Fertility Cleanse Kit, OvaWise-Egg Healt Kit, Wobenzym N, and Fertility Smoothie Kit. How should I take them? Which one should I take it first? In the article it states that I can take the Fertility Cleanse with Wobenzym N but I am not sure if I should take them together the same time or wait for 45 minutes apart. Each Kit will come with instructions for use. Wobenzym N can be taken while cleansing, as can the OvaWise Kit and Fertility Smoothie Kit. To be frank and honest, it would be best to start with Fertility Cleanse Kit and one of the others so as not to become overwhelmed with the number of supplements to take. Wobemzym N is best taken 45 minutes before food, or 2 hours after. It can be taken alongside supplements that are not taken with food. Hi, I have recent had a laparotomy myomectomy surgery for fibroid removal two months ago. I would like to know when I can start the fertility massage and Castrol oil. Additionally can I take vitex and prenatal vitamin after the surgery? I’m 40 y/o with low AMH but I still hoping to get pregnant with the help of natural fertility. I noticed your company have lots of fertility kits and would like to know which fertility kit will best suited for my condition. I hope you are feeling well and healed. It is then that Self Fertility Massage, Castor Oil Packs, a prenatal vitamin and Vitex can be considered. Consider also learning about Systemic Enzyme Therapy using Wobenzym N and also about natural ways to support AMH, Ovarian Reserve, & Continued Follicle Production. I hope this is all helpful information! Hi my name is Anita, your website is amazing & fascinating & amazingly Ive just stumbled across Castor oil therapy & Self fertility massage while looking up Yoni steaming & I’m wondering if the Self fertility massage has a internal massage part to it? The Self Fertility Massage Techniques are all external and known to be highly effective that way. I hav distal tubal dilation/hydrosalpinx in my both tubes. Can Self Fertility massage help in clearing hydrosalpinx? Self Fertility Massage could be part of a program to support normal fallopian tube health. Consider also learning about the other natural therapies for fallopian tube health, including systemic enzyme therapy and herbal therapy to support healthy circulation to the fallopian tubes and reproductive system. 2. The reflexology portion of Self Fertility Massage is to be done on both feet. I would like to know more, but I am not able to purchase this DVD. What do I do? To learn the entirety of Self Fertility Massage, the DVD has to be purchased. Please contact customer care for assistance with ordering. So I’ve been tryin to get pregnant forever it seems, but my issue is with PCOS cause I don’t ovulate. Four cycles of clomid and still couldn’t get me to ovulate. What do you suggest? Dietary changes are foundational for women with PCOS. Without changing the diet and lifestyle, herbs, nutritional supplements and natural therapies aren’t able to help to the best of their ability. Find important information in the article written by our senior herbalist titled How to Reduce the Damaging Effects of PCOS on Fertility Through Diet and Herbs and this article titled The PCOS Fertility Diet Tip – Simple Food Choices to Stabilize Blood Sugar. It is also important to support your body in re-learning balance by promoting healthy hormonal balance, a healthy uterine lining, regular ovulation, improved estrogen metabolism, reduced cravings for sweets and improved digestion all of which you will learn how to do in the first article above. Just tried this for the first time and experienced some arousal and lubrication. Is this normal? Was I pressing too hard? Fertility Massage increases is known to increase blood flow, circulation to the reproductive organs. In doing to, theoretically lubrication could increase and one could be mildly aroused. You would know if you were pressing too hard, the body would tell you. It may be that you did not. Hi, I currently don’t have a period every month (usually every other month) and at present am taking Clomid to help me ovulate, I have started fertility massage but as I am trying to conceive and need to stop massage after ovulation is it still ok to do the foot massage ? I am thinking could be a long spell of not doing the massage if I don’t have a period every month. Fertility Massage including the reflexology portion on the feet is only intended for use from the end of menstruation until ovulation during the cycles you try to conceive. If not trying to conceive, fertility massage can be continued past ovulation until menstruation begins. Although we can not suggest taking herbs that have an action on hormonal balance with Clomid, take time to refer to our Natural Guide for Menstrual Health to learn natural ways to support a healthy, monthly menstrual cycle. Fertilica Vitex is known to support the body in managing menstrual irregularities. Learn more about Vitex here… Biphasic menstrual cycle support may be worth considering as well, as is Castor Oil Therapy. Good evening, I bought the self fertility massage and castor oil pack last month. I just had my 3rd operative hysteroscopy last June 22 and currently incorporating echinacea and shatavari with my pills. My doctor just remove the balloon in my uterus last July 2 and I want to make sure if it’s ok now to start my fertility massage. Thanks. It would be best to wait 3 weeks or so to begin Self Fertility Massage. It is best to allow time for the uterus to heal. Light exercise, eating a healthy Fertility Diet and considering fertility herbal tonics that support uterine tone, like Red Raspberry Leaf, could be consider during this time of healing.